The test mule will be on streets early next year under heavy cladding. Last edited by LeMansX5; 11-08-2006 at 11:15 PM. I think i would buy the merrcedes R Class over this it just dosnt get me. You are deciding by comparing a concept vs. production. Not really answer to R-class as R-class is minivan looking. 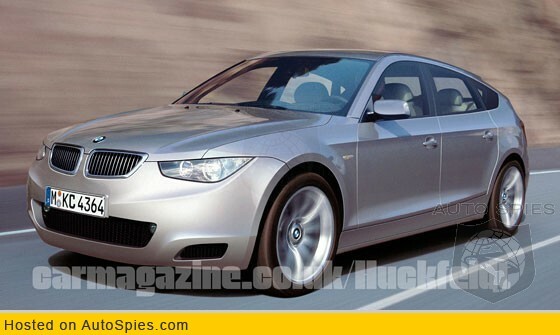 This will be a combo of 5series touring and 1-series hatch. V5 will be luxury cruiser which will drive like a BMW...performance and handling like a car. More like 7-series touring with a big slant hatch. more luxurious than X5...Full length tinted glass roof. Will share some features with new 7-series. Test mule is out and will see new spy shots soon. X6 and V5 will hit roads around pretty much same time next year. anyone have any more pics of that x5 coupe?